The bathroom can often be a boring space. 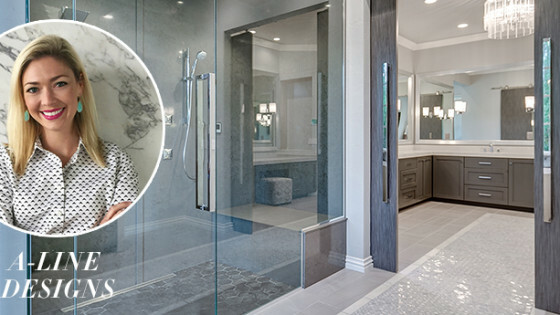 Homeowners often try and keep the bathroom very minimal and sleek which is great for cleaning purposes, but it can tend to look bland and lifeless. Texture is a really easy way to add dimension and interest into the bathroom. Get creative with your materials and wall treatments and transform your bathroom from lame to luxe. Wallpaper is making a comeback in a very big way. What used to be such a daunting process, wallpaper designers and companies have made wallpaper very desirable. 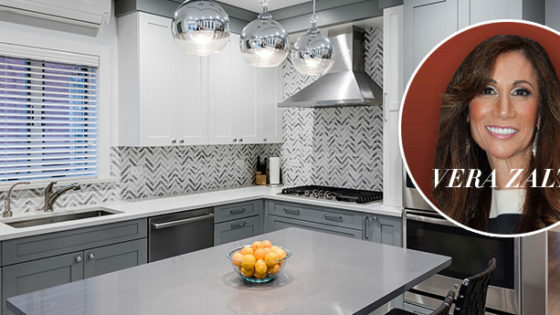 Whether an accent wall or a ceiling, these gorgeous designs come in easy application sheets and tone of designs, textures and colors. Try doing one accent wall and see the difference it will make! There are so many different style stones to choose from to add texture to your bathroom. 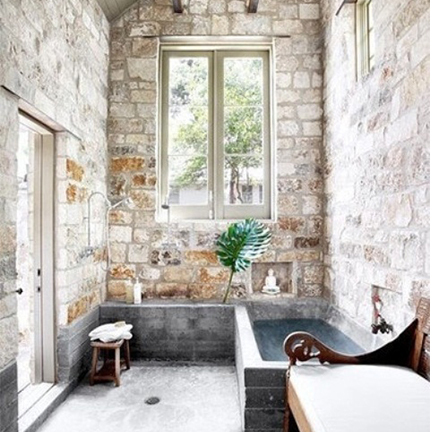 For that ultra urban look, cover all of the walls in rough stone, giving the feeling of bathing outdoors. 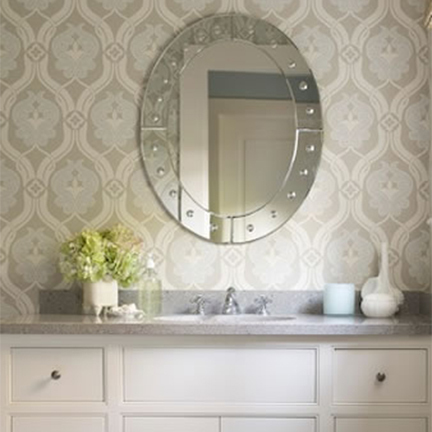 Or, if you don’t like stone on the walls, you can use a natural stone countertop for your vanity. 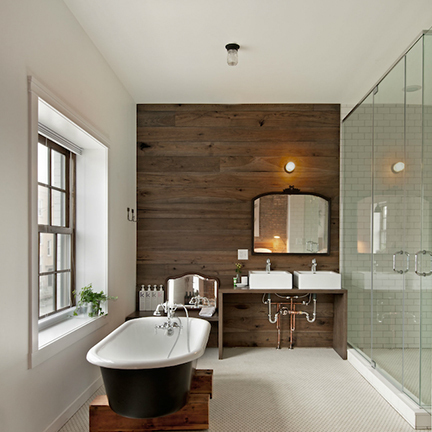 As we’ve talked about in past articles, designing with reclaimed wood is a very popular trend right now. Recycle some 2×4 pieces and cover a whole wall in the room. Not only will this give your bathroom some wow factor, it will set the tone for a natural, spa like style for your new bathroom. 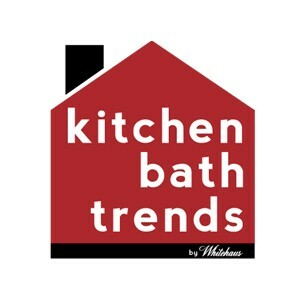 Sometimes all you need is to switch up your hardware or fixtures to update your bathroom look. If you’re feeling daring, go for copper or brass. 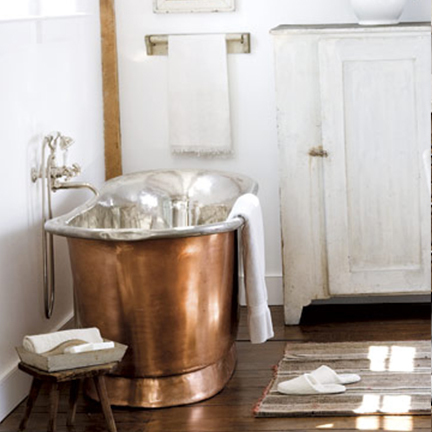 While chrome and nickle have flooded the kitchen and bath industry for years now, copper and brass are making their way back in a big way. Copper is back and more popular than ever. Accent with neutrals and add a pop of black for that glamorous luxury look. 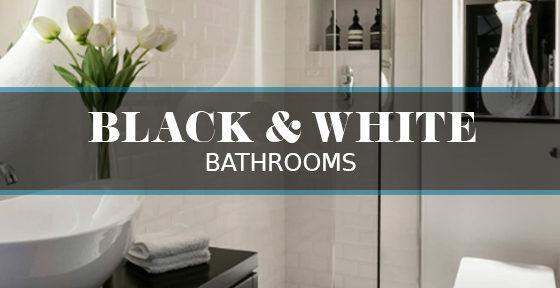 Towels, rugs and robes are bathroom staples in just about every home. Take these pieces out of the closet and display them in a stylish (non-messy) way to make your bathroom feel and look extra cozy. Try rolling up your towels in a basket, or hang your monogrammed bathrobe on an decorative wrought iron hook. Dressing your bathroom in white linens will give you that comforting feel while still keeping the style very clean and crisp.